So, I've been away for a bit now. I needed some time to catch my breath and decided to cut down on a few things and the blog happened to be one of them. But now I feel like I'm almost on top of things again and I kind of missed blogging and I do have quite a lot of projects waiting to be shown here. Anyways, while I was gone I have been playing with interactive cards and Chibitronics are my new love. 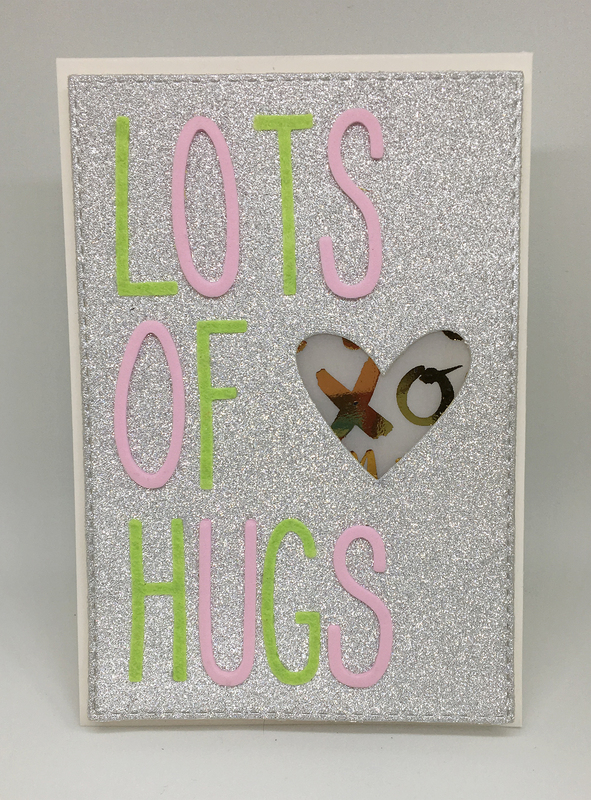 A few years ago I was studying embedded systems and me and my husband was talking about how cool it would be to use electronic components to make cards. I actually read about Chibitronics then and was amazed by the idea. But I sort of forgot about it for a while and then a while back the Chibitronics bug caught a lot of my scrappy friends. I got super excited and now, finally, I can even get Chibitronics at my fav scrap store here in Sweden. Yay! 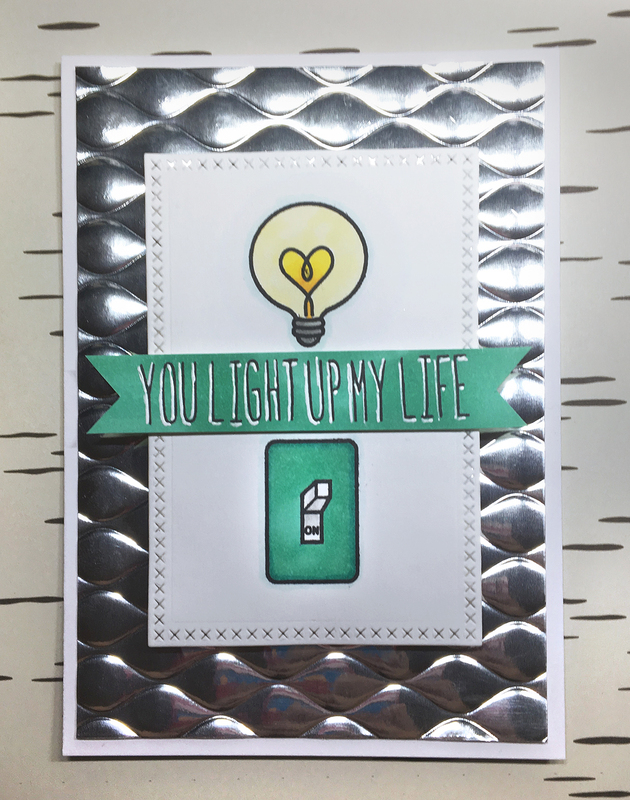 So I have made a few cards now and found it very fun to look at all my stamps and thinking about what should light up. 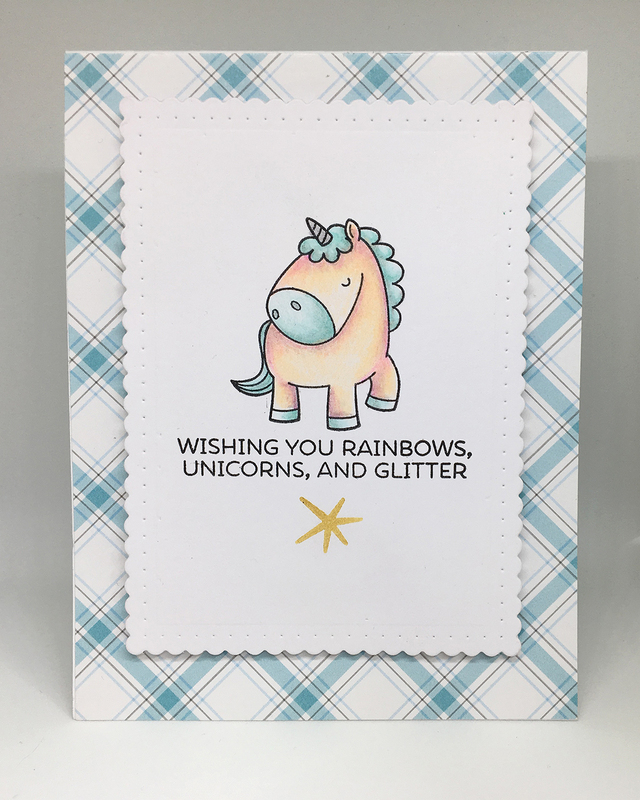 This card started out as a tutorial for Spectrum Noir. I masked out the buildings to make a background. But then I looked at the windows of the middle house and wanted to make it light inside. So I got out the Chibitronics and started to build. I started by cutting out the windows using a craft knife. 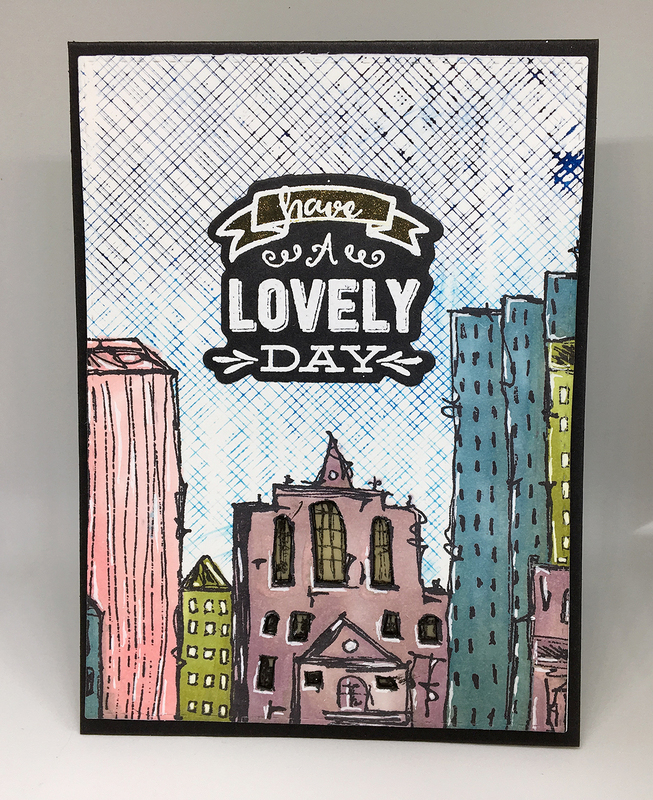 I wanted the window panes to be visible so I stamped the house on Vellum and attached it on the backside of my stamped panel. This also gave me a good idea on what the card looked like on the other side and where to put the led sticker. 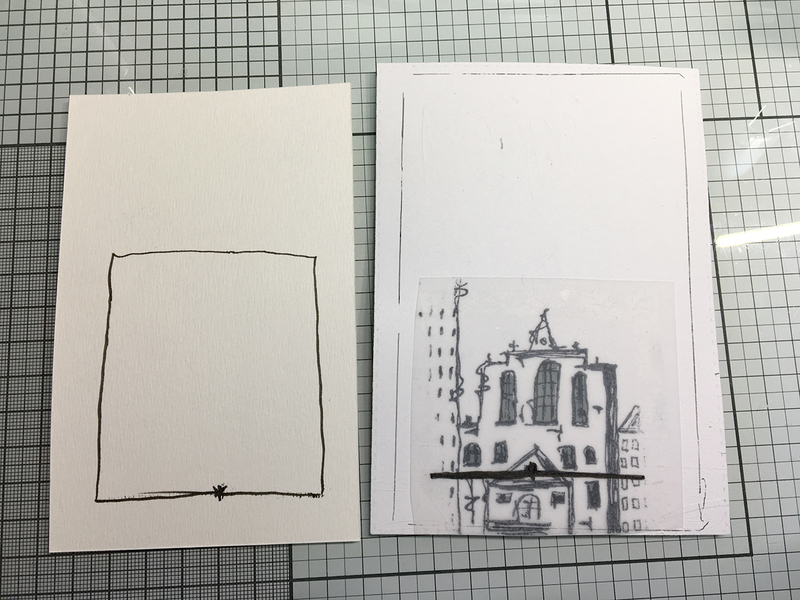 Since the vellum is translucent I did not want the led or the copper tape to be visible so I used a black marker to draw where I wanted them to go, then I quicly pressed the back of the card to a scrap piece of cardstock to transfer the marking. 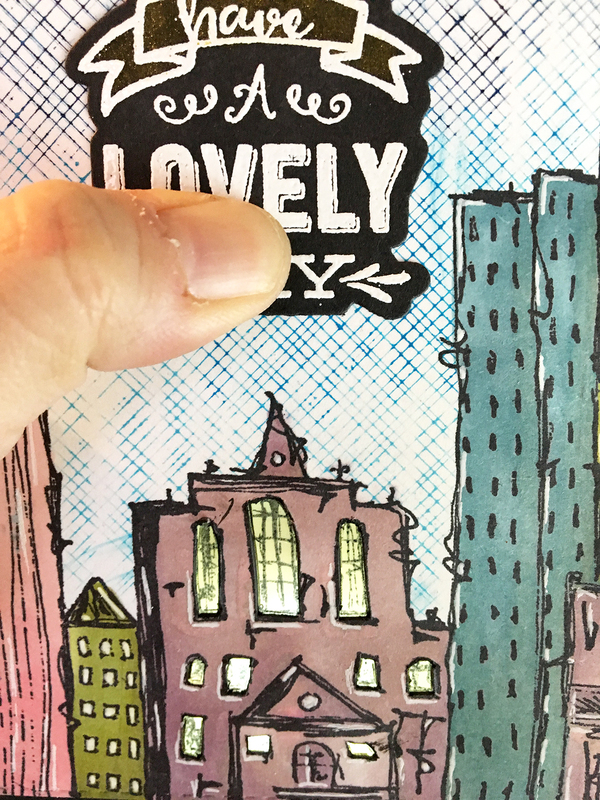 I also drew a line on the back of the cardfront so I knew where the panel should be placed. Then I drew the rest of the circuit on the cardstock. Making a circuit is nothing hard. Think about it as a road for the electrons to go through. You start at one side of the battery and want to end up on the other side of the battery. The Led sticker is like a tunnel where the electrons is going through and coming out on the other side. The side of the battery with the text on is the positive (+) side and the other side is negative (-). If there are any breaks in the copper tape/road the electrons/cars will not be able to get to the other side of the battery so don't break the tape. I made a little home for the battery, making sure there would be a connection for the tape on both sides of the battery. To be able to reach the upside of the battery the tape has to fold over the edge of the flap. Where the LED sticker is supposed to be I made a small gap (I placed the sticker beside when doing this to see that the gap wasn't to wide). Both ends of the sticker has a connective surface that is the copper colored parts. The tape needs to end up behind those parts of the sticker but not touch each other. There is a tiny mark on the LED sticker showing what is + and what is -. The point is -. Can you see my mistake above? I somehow flipped my sticker the wrong way when sticking it to my project. No worries. It will not harm the LED or do anything bad. It just won't light up. Solution: Flip the battery upside down and you are fine to go. Easy as could be, right? Now the flap will act as a switch. 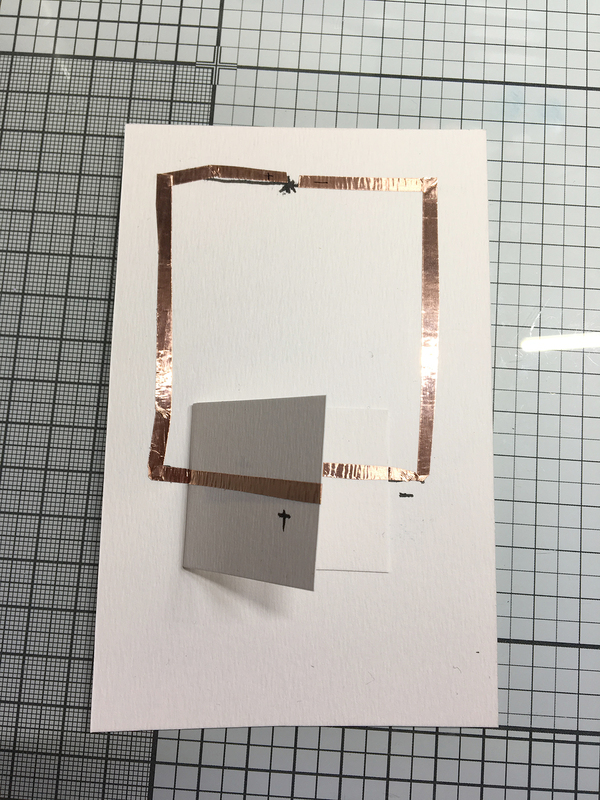 When you press down the flap both sides of the tape will connect and the road is free so the electrons can go to the other side and the LED will light up. 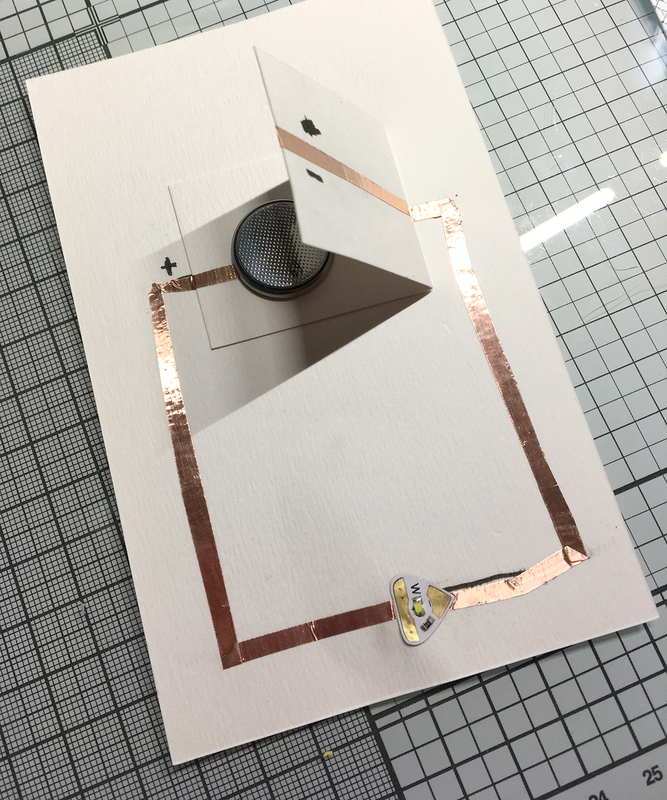 After making sure that the circuit is working I used foam tape to build a nest for the battery, and also some walls around the whole card so it's the same level as the battery nest. 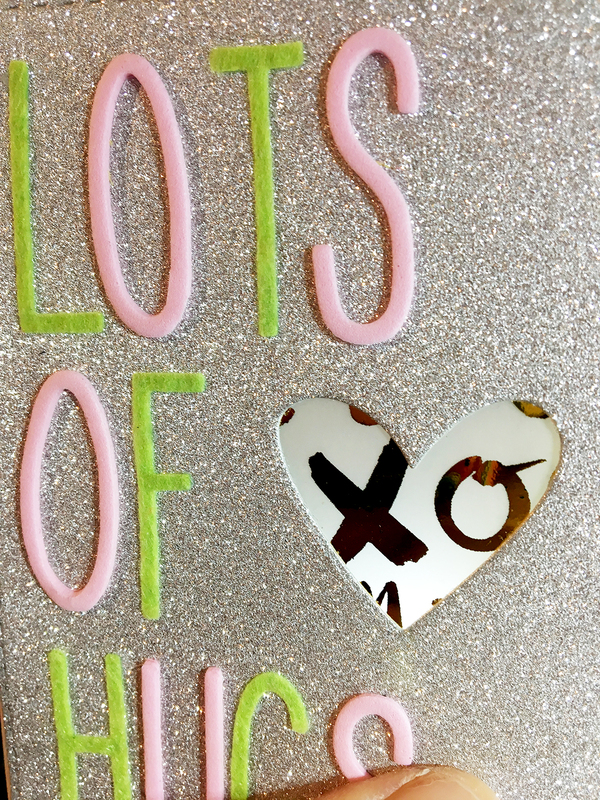 Since I had marked on the back of the card it was easy to stick it down in the right place. Now my windows light up when pressing the sentiment text. I tinted the windows yellow using a marker so the light looked a bit warmer. I think it turned out really fun! See how easy it is to use the LED stickers. There is one thing you need to know though. 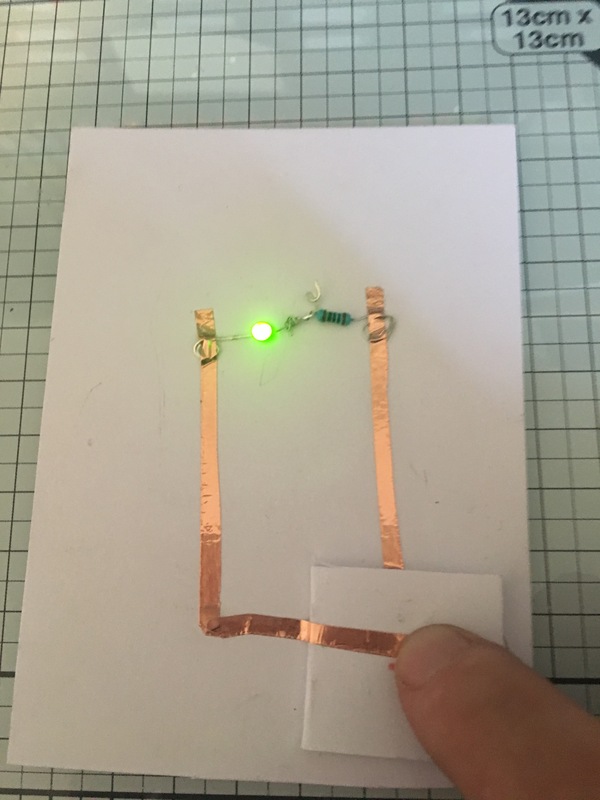 The copper tape should never cross and there always needs to be at least one LED connected to the circuit. Here are a couple of other projects using Chibitronics. 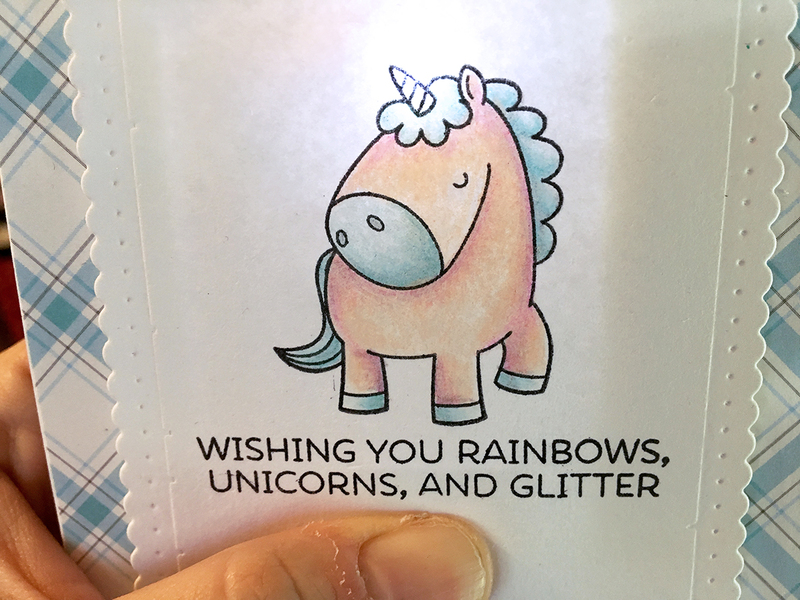 I hope you got some inspiration to use the fun Chibitronic LED stickers for your creations. I just wanted to show you what I did before I got the Chibitronics. 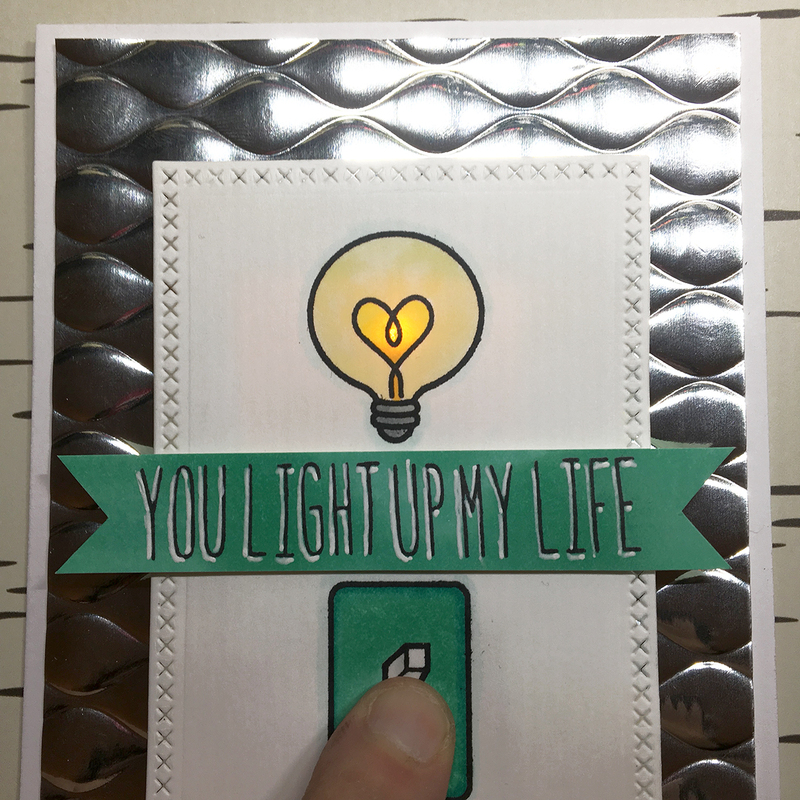 This was not as easy or as fun but I really really wanted to try to make a card that lit up and it actually did. Thanks for stopping by and I hope to see you soon again. I will be back on Wednesday with a project for Design in papers.